September 12th in Site Logo by Wordpress Jedi . So you have finally taken the plunge and started your own WordPress blog? There is more to blogging than writing content. You have to spend time promoting your blog and build a brand around your blog. In order to build a credible brand, you are going to need a decent logo. It’s not everything you need to be concerned about, but it’s a must have. I don’t know about you, but I don’t take sites that do not have any logo at all that seriously. I have heard all possible excuses for not having a logo on a WordPress blog, but if you are a blogger, and you don’t have a logo on your blog, you’ve got to make one now. LogoYes: an innovative service that lets you design your own logo from generic images. 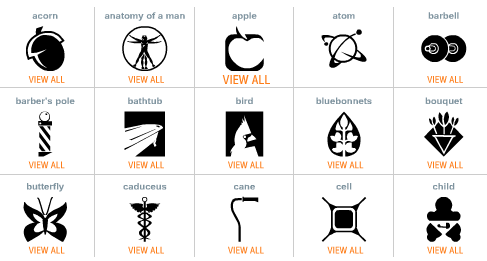 You can build your logo around symbols, images, or letters. 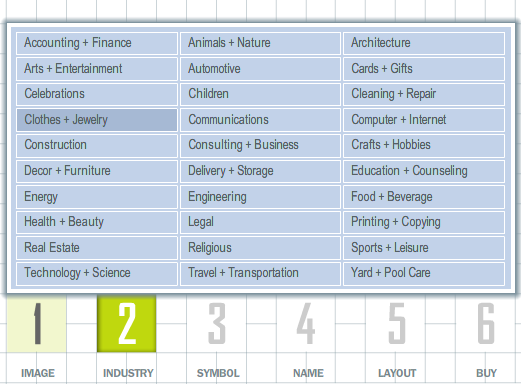 You can also search through images based on your industry. Very easy to use and saves you time too. February 28th in Site Logo by Wordpress Jedi . In the part II of this series, I talked about how you can use LogoMaker to create your very own WordPress logo. LogoMaker is a great solution, but what if you are not satisfied with the abstract logos that you get with LogoMaker. You can always try LogoYes. 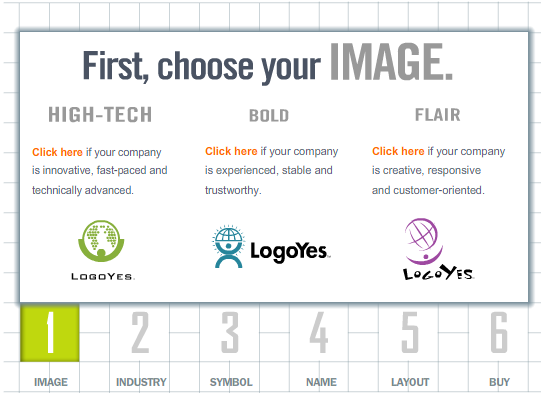 In fact, LogoYes is the site that I used to develop the logo for my start-up company. The quality of logos are slightly better than those provided by LogoMaker, and the interface is as user-friendly. LogoYes’ design process is very similar to that of LogoMaker. Essentially, you are provided with three classes of designs to choose for your logo. If you are a high-tech company, you may want to choose the high-tech class, and you can use the same approach if you are in other industries. Once you have chosen your design class, you are provided with a list of industries that you can choose for your business. Once you choose your symbol, you get the chance to add text to it (similar to LogoMaker). Here is where LogoYes defers from LogoMaker. You have a sub-class under each class, and as a result you have access to more abstract logos here (all the logos are black and white until you change them). Once you have chosen your image, you get a chance to add text and customize its look. You are provided with the design canvas which you can use to resize your images, flip your logo, or change its color. 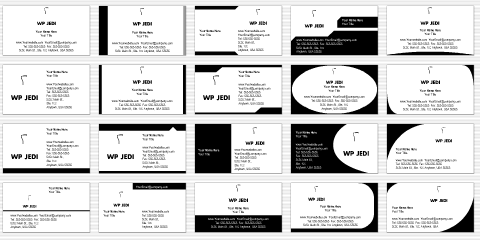 Once you have chosen your logo, you can then get a chance to design your business card as well. LogoYes has a comprehensive business card design program that allows you to find the design that is right for you. LogoYes is an innovative Do it yourself logo solution for anyone interested in designing logos for cheap. You don’t have to break the bank to get your logo and business cards. The application is very easy to use, and you get to save and edit your logo until you decide to download it (you are provided with different file formats including EPS). If you are starting a new blog, and you are passionate about it, you may want to invest a little to start your branding as soon as possible. In part IV, I’ll talk about some other solutions that you can use to design your own logo. February 6th in Site Logo by Wordpress Jedi . In the first part of this series, I talked about the three approaches that you can take to create a logo for your WordPress blog. As promised, I am going to discuss how you can build one for your blog fast using online self-service logo services. LogoMaker by HP is an innovative logo design service that allows you to get started with your design fast. Abstract: abstract symbols (not necessarily related to your niche). For instance, you can find the above images under the real estate category (these are symbol based). Once you have chosen your favorite image, you can add it to the design canvas for further changes. You can then add text to your logo, change color, and styles easily using LogoMaker’s interface. LogoMaker makes it easy to rotate the image, change its size, or even change its color (even in parts). You can also choose from all kinds of fonts to customize your text section. Once you are finished with this part, you can save your logo. You can then decide to test the logo for free for a certain period of time. LogoMaker provides you with a script that you put on your site for free for the testing period. If you decide to buy your logo, you are provided with standard versions of your logo to download (jpeg, gif, eps, tiff). Overall, LogoMaker is so easy to use even a caveman can do it. You can be absolutely new to the world of design and still create attractive logos with LogoMaker. The prices are low too which makes LogoMaker very affordable. Stay tuned for part III, where I talk about yet another solution you can use to design your logo fast. October 1st in Site Logo by Wordpress Jedi . I hear this story a lot. “I am thinking about starting my own blog, but I am no good with design. I don’t know any Photoshop and don’t have the money to pay a professional designer to create a logo for me.” Well, fear no more my friends. I can tell you from the experience that you either get the whole design thing or you don’t. I am a proud member of design-handicapped club, which means I can’t design any thing to save my life. I have even tried learning Photoshop and Illustrator but I am not creative enough to do anything with what I have learned. But with LogoMaker, I have pretty much don’t have to do anything. LogoMaker is an innovative self-service logo design service that allows you to design your logo on the fly. You basically sign up for a free account, and you can use pre-designed logos and change them to make your own unique logo. 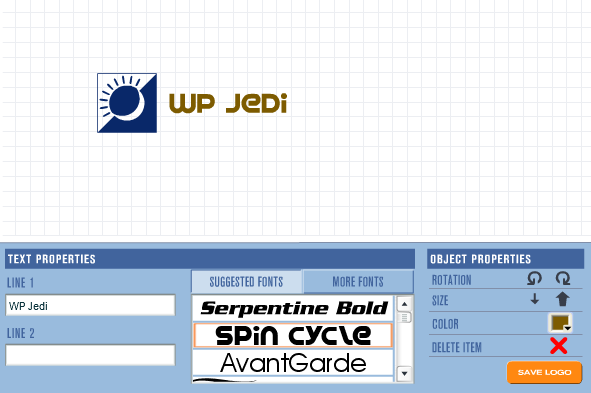 You can change fonts, add images, and do all kinds of stuff with the template that HP has with LogoMaker. Here is what I was able to create in less than 40 seconds. Now you can buy logos that you design for only $49. 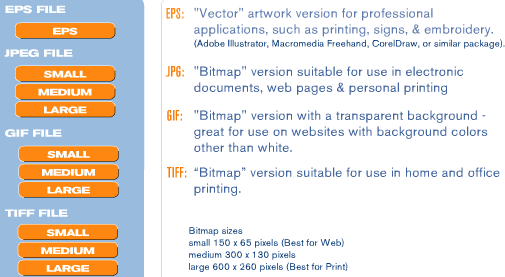 You can then download the gif, jpeg, and the EPS file, and you can change your logo if you know illustrator or Photoshop. But the great thing about Logomaker is that you don’t have to buy your logo. You can use it for free by providing a link back to LogoMaker service. It can’t get any better than that. Now a lot of the gurus may say that buying a $1000 logo gives you more credibility. I don’t necessarily agree with that. A whole lot of startups don’t have the resources to buy expensive logos, and these logos do just fine as far as I am concerned. Best of all, the risk is none or minimal (if you decide to buy). I do encourage you to play with the templates as they are very addictive. After playing with it for a year now, I now regret spending so much time learning everything there is to know about Photoshop (it’s a nice skill for a designer but is not for everyone).